Player 1 passes up to P 1, player 2 comes around the top of the circle and shoots on net. 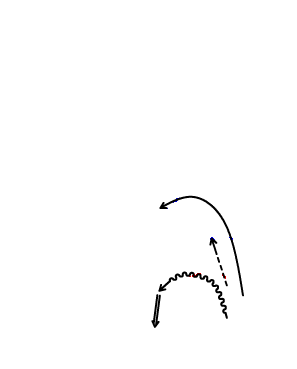 Player 1 will continue out past P1 and follow diagram. P1 will pass to P2. P2 passes back to P1 who will then pass to player 1. 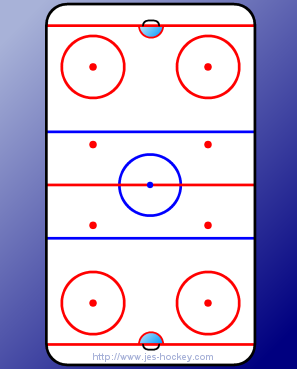 Player 2 will pick up a puck from the corner and pass to P2. Player 1 goes in for a shot while P2 passes back to player2, player 2 continues down ice and makes a second pass to P3. P3 will pass back to player 2 who will then go in for a shot on net. Both ends go at the same time.